ÆSIR has extensive experience in all of the services presented below. To find out more about some of our previous projects, why not have a look at our Portfolio area. Services offered by ÆSIR are listed below. Click on the service title for more information about that service. 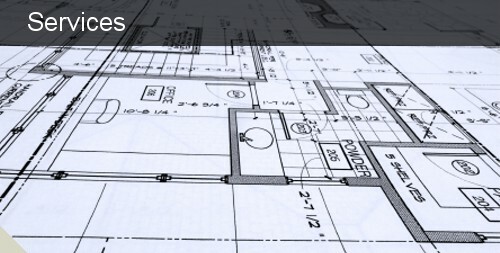 Trying to convert years of paper drawings to digital CAD files? Or perhaps just trying to convert legacy CAD drawings up to current standards? ÆSIR has highly skilled and dedicated staff ready to assist in these projects. You can be certain that our drawings will conform to your rigid CADD standards. In fact, we guarantee it! Your company is not likely in the habit of routinely establishing CADD Standards or Templates. Without dedicating great amounts of time and money to studying the problem, your new company standard may still be somewhat behind. Why not turn over the task of creating your new templates, standards, libraries and title blocks to a company that makes this our focus? ÆSIR has established company standards for Mevex, Hydro Ottawa Limited, and is even in discussions with Public Works and Government Services Canada on the updating of their new National Standards. You can sleep easy knowing that your company's standards are being put together by highly trained experts. Having troubles separating Versions from Revisions? Let ÆSIR ease your pains. We have extensive experience in tracking drawing changes, and can even help you set up a drawing Vault for check out and check in control. Major drawing changes may be easy to identify, but identifying minor changes can be troublesome. Never wonder if the drawing you are current looking at is the current drawing that you should be looking at. How was that again? Please have a look at our training page for more details. Thinking of making the move from 2D to 3D? Let ÆSIR help you make a smooth transition. Besides our training and standards assistance, ÆSIR can also take your designs into the third dimension for you. We offer a full line of 3D modeling, rendering and animation services. If your strength is creating a product managing design build projects, let us do the modeling for you. A quick browse through our portfolio will give you confidence that we can see your job through to a stunning completion.